A few months ago we announced we were going to host codebar on a regular basis. We thought we’d give you a brief update on how it’s going and share some photos from last week’s event. Codebar teaches programming to women, the LGBTQ community, and people belonging to underrepresented ethnic groups. During weekly codebar workshops all around London, experienced developers volunteer their time to help students go through code tutorials or build their own project. 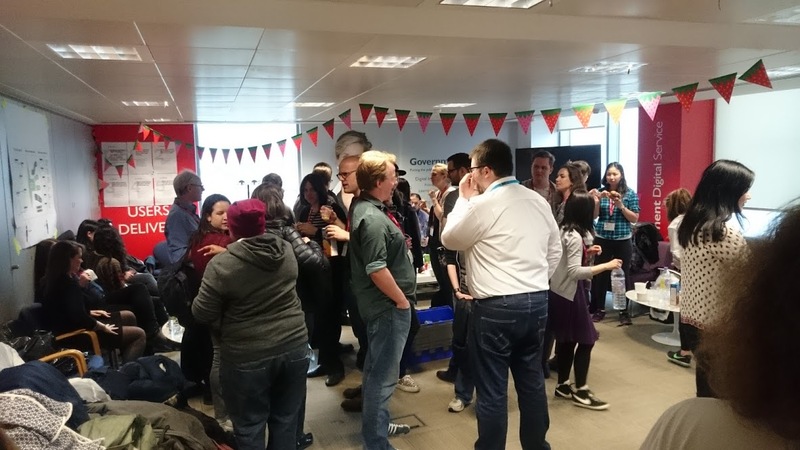 GDS has now hosted 3 codebar events with around 170 people having walked through our doors to teach or learn coding. Because we have fairly large offices, we are one of the few codebar sponsors that can handle larger groups of attendees. We now accept a third more attendees than when we first started codebar, ensuring no person gets turned away. We have also seen great participation from our GDS developer community with over a dozen people helping out at the events. 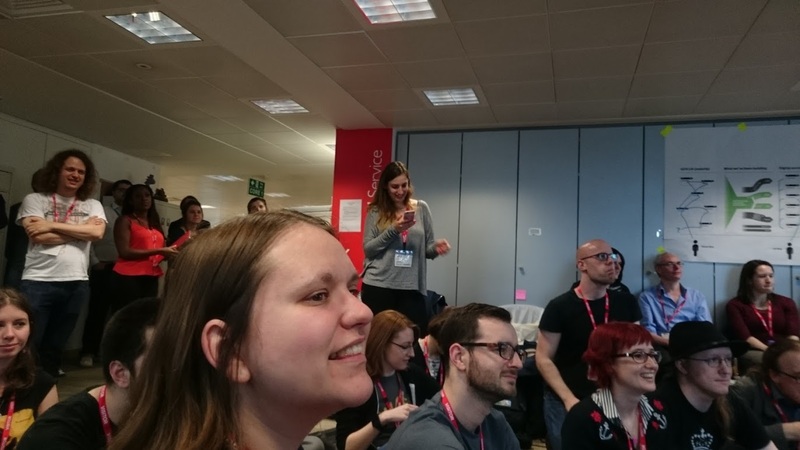 Our developers have given codebar talks relating to what GDS is doing and how we work. For example, I’ve given talks about my 20% time project and on how and why you should keep a clean Git commit history. Paul Craig, a developer from the Digital Marketplace team, has also spoken about the importance of listening to users when developing a technology product, something GDS feels very strongly about. As part of this, Paul shared details on some of the work we do around accessibility. This is a photo showing attendees listening to a developer talk in one of our breakout areas. And here's a photo showing codebar attendees learning programming skills. We do this at our GDS banks of desks after work hours. If you would like to get involved, you can find out more on codebar’s website and sign up as a student or a coach. 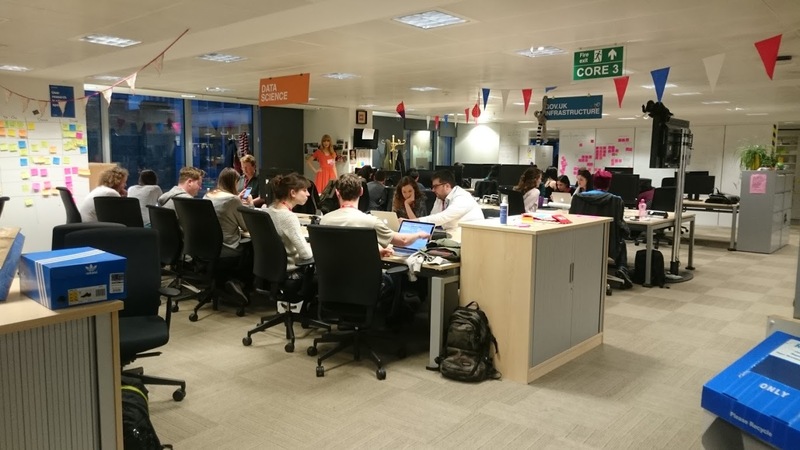 Next codebar at GDS is Wednesday 27 July. Save the date! You can follow Tatiana on Twitter, sign up now for email updates from this blog or subscribe to the feed.